D.R. Horton’s Southwest Florida Division is pleased to announce that construction on the amenity center at Creekside Preserve is nearly complete. A beautiful resort-style pool, clubhouse, fitness center, and social room are expected to be open by the end of January 2015. 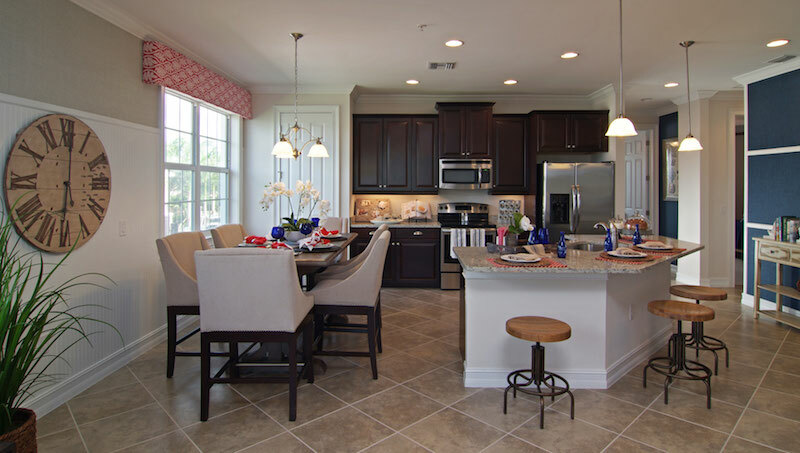 Creekside Preserve is a conveniently located community of 168 spacious carriage homes nestled between Estero Bay Nature Preserve and historic Mullock Creek. The public is invited to view two professionally decorated models. At approximately 1,402 square feet of living space, the Capri plan offers two bedrooms, two baths, a den, and a one-car garage. The Ravello plan features three bedrooms, two baths, a den, and a one-car garage for approximately 1,661 square feet of living space. Homes start from $185,990 and offer elegant open floor plans, fine finishes, and large windows to capitalize on the beauty of the surroundings and allow plenty of natural light. Each home is an end unit with only four homes per building. A small selection of quick move-in opportunities are also currently available. The models and sales office are open seven days a week and located at 18280 Creekside Preserve Loop in Fort Myers. For more information, call Sales Agent Evelyn Soares at (239) 834-9527.